I'm starting to prepare and pack my things for the UK next week. I still have things in packets and not used. These cute little gems are part of the clan. I left them in their packaging and thought i'll leave them for the big move and have something new to play with. I am a huge sucker for eBay as many of you know. If you look at the pictures you'd scream "OH GOSH Real Techniques have new colours?" but no, these are the "china" versions of the fabulous brushes which I do still intend to rush to my Boots and buy a couple when I arrive. Overall, I have heard great things about the Dupes for the Real Techniques and the bristles are very soft and the handles are very sturdy too so that's a plus for me. As for the beauty blenders, sponges are not worth more than £3-£5. Anything after that price tag, I would personally prefer to buy a brush especially with the money you pay for the real deal you could easily get a high end brush from the likes of MAC or NARS. What would you prefer, having a brush for life or a sponge worth much less and you end up tossing it after 1-2 months? 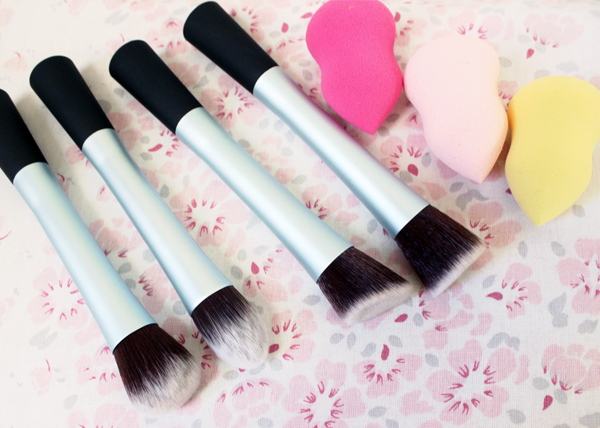 I'd much prefer brushes, I have a brush for every purpose haha! I do throw them away after around a year though. I usually use Topshop but those you have are so pretty, I want! I have had sponges in the past but the colour after several uses used to bug me knowing how much bacteria could be stored in a single brush as in reality you may be able to wash the sponge but never manage to get all the product out! 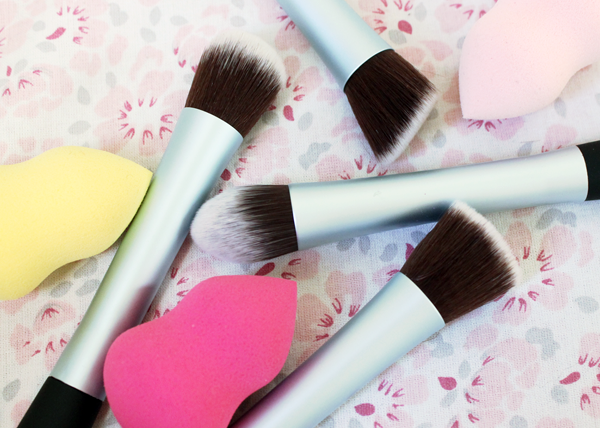 i love the color of those brushes! They look like they are slightly better quality also.